We revisit our coverage from the day that "Jackass" star Ryan Dunn & his friend Zach Hartwell died after Dunn lost control of his Porsche along Route 322 in West Goshen, Pa.
One year ago Wednesday, Jackass star Ryan Dunn died alongside friend Zach Hartwell in a fiery crash along Route 322 in Chester County just yards from Hartwell's home. The crash hit local Jackass star Bam Margera and fan's of Dunn's and friends of Hartwell hard. It also raised awareness about the dangers of drinking and driving as well as speeding. Revisit our coverage from June 20, 2011 and feel free to leave your remembrances in the comments. Jackass star Ryan Dunn was killed early Monday morning when his Porsche flew over a guardrail in West Goshen, Pa., slammed into a tree and burst into flames, according to local police. Bam Margera: "This Definitely Woke Me Up"
Dunn's passenger, 30-year-old Zachary Hartwell of West Chester, Pa., was also killed. Hartwell worked as a production assistant on the movie Jackass Number Two and starred in Bam Margera's movie Minghags. Chester County Coroner's Office announced Tuesday that the cause of death for both Dunn and Hartwell was "Blunt and Thermal Trauma due to a motor vehicle accident. The nature of the deaths was listed as Accidental." Dunn, 34, was identified by his tattoos, according to a witness who was on the scene when the bodies were pulled from the wreckage. The one-car accident happened on Route 322 around 2:30 a.m., according to Officer Geiger with West Goshen police. The 2007 Porsche 911 GT3 shot through about 40 yards of trees before it hit the last one and exploded into flames, according to police. The police press release (.PDF) reads, "Preliminary investigation revealed that speed may have been a contributing factor to the accident." Dunn was last seen at Barnaby's of America in West Chester in the hours before the accident. "Ryan didn't appear drunk before he left," Barnaby's manager told NBC10 Philadelphia. That manager said Dunn left the bar around 2 a.m.
A toxicology report on Dunn and Hartwell is not due back for a few weeks, according to the coroner's office. One of the friends tells TMZ ... Dunn had 3 Miller Lites and 3 "girly shots" between 10:30 PM and 2:10 AM -- nearly a 4 hour span -- but he was "not too drunk to drive." Bam Margera's mom April was the first to publicly confirm the reality TV star's death. In an interview with NBC10 Philadelphia, April says she learned of the accident after getting a call from WMMR's Preston and Steve radio show. She shared the news with the show after speaking with police. "He's just the sweetest guy you'd ever want to know and he would do anything for you," April Margera said. April and her husband Phil teared up as they spoke about Dunn saying they considered him a son. "I know the entire Jackass family is devastated and all of West Chester is devastated," she said. April Margera also said Dunn was a fast driver and that she told him to slow down "everyday" following a bad accident he was involved in more than a decade ago. "He drove too fast and I yelled at him all the time about that," she said. Dunn was known primarily for his dangerous antics and practical jokes in MTV's Jackass series and movies with his long-time friend Bam Margera. 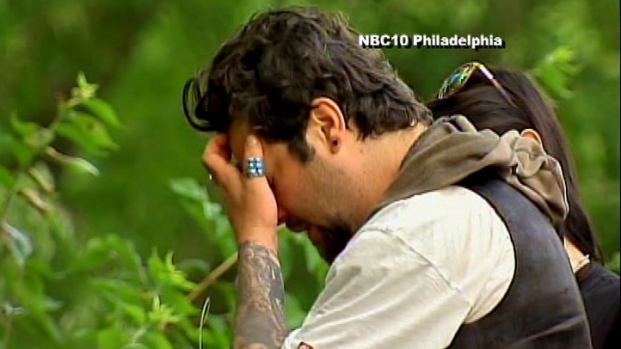 He is a member of the CKY Crew with Margera. Dunn also co-hosted a show on the G4 network called Proving Ground. Bam Margera, who is currently in Phoenix, Ariz., has not spoken publicly about Dunn's death. His parents say he's devastated by the news. "Today I lost my brother Ryan Dunn. My heart goes out to his family and his beloved Angie. RIP Ryan, I love you buddy." 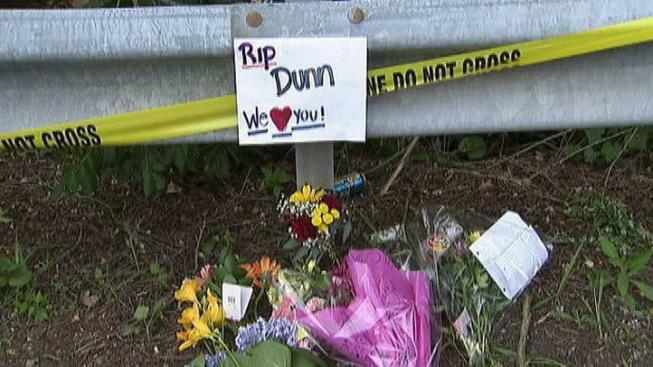 This picture was posted on Dunn's Tumblr about two hours before the accident took place. It has since been removed from his account. April Margera confirms that Dunn is pictured on the left and his passenger Zach Hartwell is on the far right. The man in the center has yet to be identified. The #RIPRyanDunn hashtag was blowing up on Twitter and Ryan Dunn was the top trending topic Monday morning as news of his death spread. Dunn's fans also began posting video responses to Dunn's death to YouTube. June 28 - Bam Margera: "This Definitely Woke Me Up"
The Daily Local also caught up with Dunn's Jackass co-star Brandon Novak a year after his friend died. What follows is the article posted to our website the day that Dunn lost control of his car and updated the day after and some links to corresponding stories from the week following the accident.